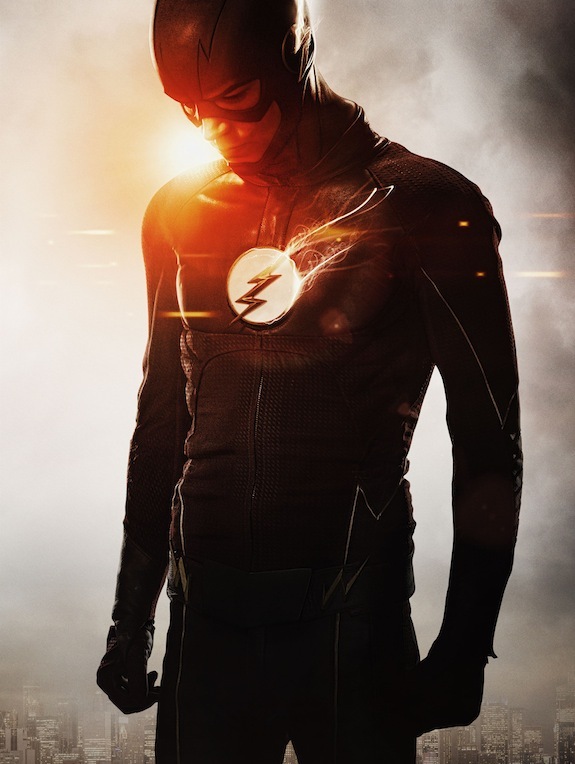 After a leak of the new THE FLASH season 5 costume made its way online earlier this week, series star Grant Gustin is now sharing the first official poster/look at Barry’s new suit. We’re just six weeks from THE FLASH’s return, and when viewers find Barry Allen in season 2, he won’t be in the best place. 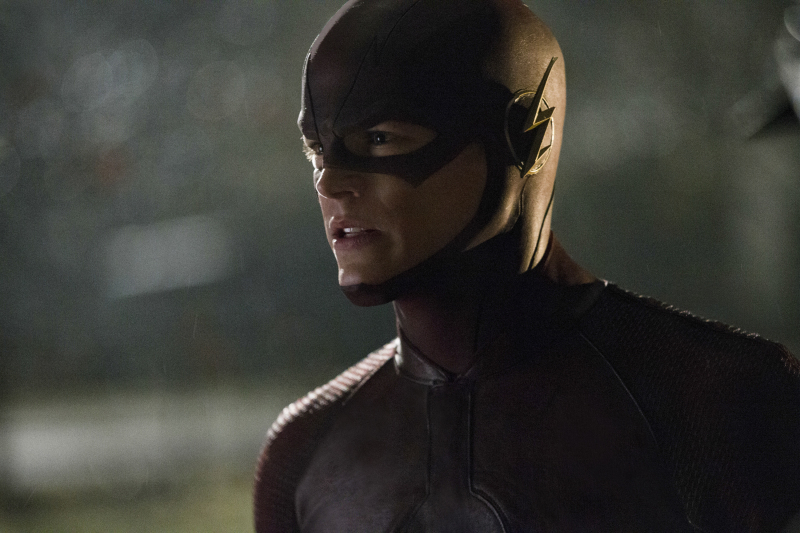 THE FLASH’s Barry Allen is getting a suit makeover. When The CW breakout hit returns for its sophomore season, Barry will don a new suit as The Flash…but it won’t be immediately. THE FLASH’s Barry Allen has a new goal in mind: find a way to travel back to the night his mother died, and save her from her untimely death. Unfortunately, things might not be as “easy” as Barry had hoped. In the meantime, tonight’s hour is a big one. In addition to being delightfully fun — and, as THE FLASH co-star Tom Cavanagh (Wells) joked with reporters, “Hashtag game-changer.” — executive producer Andrew Kreisberg pointed to “Out of Time” as the best episode of the show’s run so far. There’s a PRISON BREAK reunion on THE FLASH tonight, and yes, it was Wentworth Miller’s idea. Tonight’s episode of THE FLASH is a big one…not only does ARROW’s Felicity crosses over, and Wentworth Miller makes his debut as Captain Cold, but THE FLASH star Grant Gustin (Barry) teased that there is a pretty awesome action sequence to look forward to. 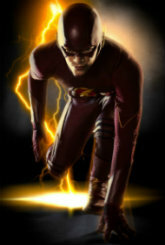 The CW’s THE FLASH is one of the most anticipated (and best) new shows of the upcoming television season, and the series is already upping the ante before it even officially premieres — the freshman superhero drama is set to stage several crossovers with fellow CW/DC Comics series, ARROW (where Grant Gustin’s version of Barry Allen made his debut in late 2013) in the first batch of episodes. At Comic-Con, THE FLASH (and ARROW) executive producer Andrew Kreisberg sat down with reporters to talk about the importance of doing the upcoming crossovers (while also balancing ARROW’s realism with THE FLASH’s more fantastical tone), getting to write Barry Allen, and much more. For THE FLASH star Grant Gustin, the process of becoming Barry Allen’s alter ego, The Flash, hasn’t been entirely simple.